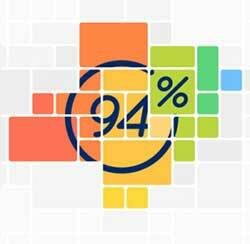 Walkthrough of 94% Things In A Casino Answers for every question in 94 percent game cheats. If I say something you’d do if you heard a burglar in your house and show you a picture of laundry drying on clothesline between two buildings, what comes to mind first? think some words that words associated with questions that will cover 94 percent of the given answers !